Dias&Riedweg, Funk Staden (2014) - Macro Testaccio, Roma. The tale of Hans Staden is an endless one. 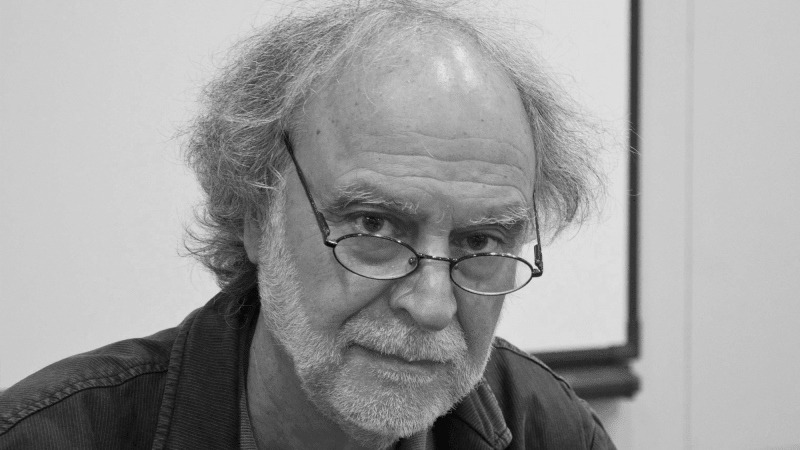 His book has accompanied almost all anthropological narratives regarding the earliest contact between Europeans and natives, particularly the Tupinambá. His biography can be summed up as follows: he was a German soldier and cannon expert who joined a Spanish ship that was wrecked near present-day Sao Vincente. He was taken captive by the Portuguese and their allies the Tupinikin, enemies of the Tupinambá. Later on, Staden was captured by the Tupinambá, believed to be Portuguese and thus an enemy, and taken to their village near present-day Ubatuba to be eaten during a ritual. Around eight months later Staden managed to escape and return home, where he wrote an account of his time among the «cannibals», which went on to become a bestseller. 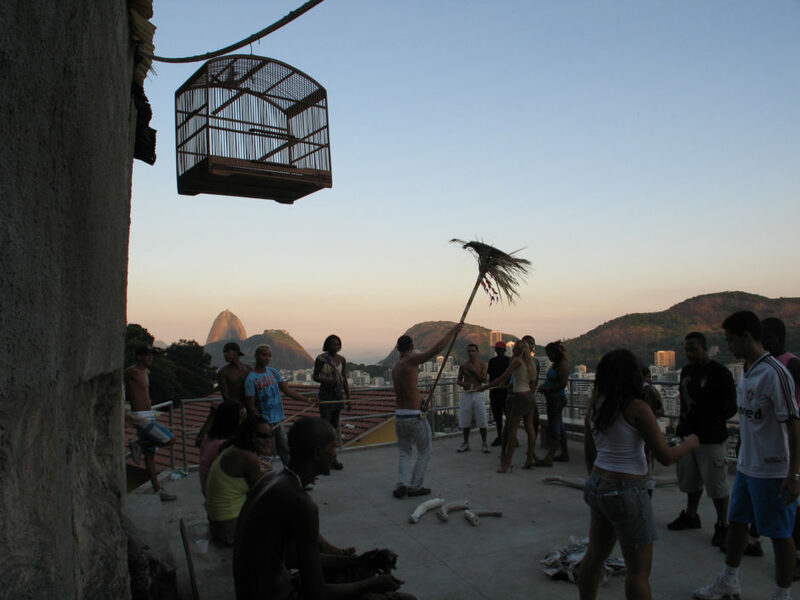 As part of their project, Funk Staden (2007‒2008), Dias&Riedweg worked with funk dancers from the favelas in Rio de Janeiro, developing syncretic and anthropophagic links between the Funk Carioca scene and the classic book by Hans Staden (1527‒78), where he describes his naked captivity among the so-called Tupinambá «anthropophagi» of what is now Brazil (True Story and Description of a Country of Wild, Naked, Grim, Man-eating People in the New World, America). The rhythmic physical, musical and poetic style of funk, in the most marginal areas of the cities, particularly Rio de Janeiro, has led to a radical change in Brazilian rhythms. Dias&Riedweg’s idea is based on a re-enactment of Staden’s woodcuts to the sound of funk, which forms part of the hip hop subculture. They therefore demonstrate how anthropophagy is not a form of wild and hungry cannibalism, but a ritual for absorbing the symbolic power of the enemy by incorporating it. The favelado generations have abandoned samba and bossa nova rhythms and rhymes (just as their African-American peers in the USA have abandoned jazz) to assert their own highly sexed and oppositional self-portrayal through funk. From this perspective, the Funk Staden performance has an interesting and spontaneously ethnographic nature. 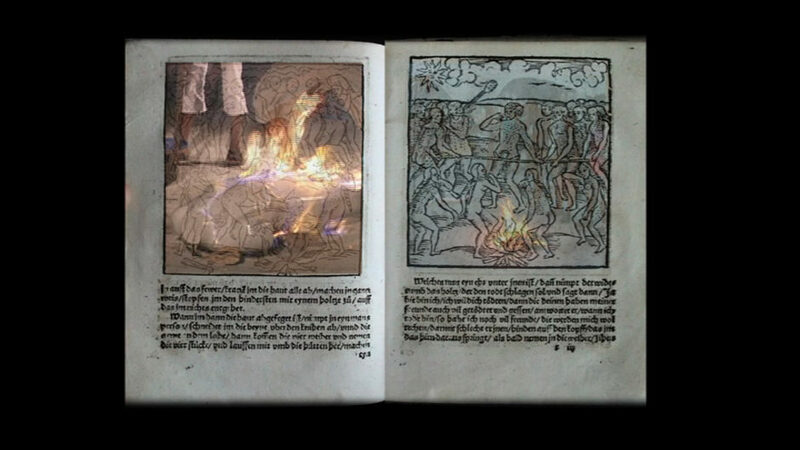 After almost 500 years, this disturbing account of the earliest encounters between radically different cultures is reworked in a performance that attempts to re-elaborate an anthropophagic syncretism. These two words are fundamental for understanding the mismatch between these two worlds that would lead to one of the most tragic genocides in the history of humankind. Biological and cultural ethnocide. The Europeans perpetrated an attack that converged towards the destruction of every autonomous characteristic ‒ philosophical, religious and cultural ‒ of the native populations. This attack continues today, particularly in Brazil, due to the simultaneous action of a pro-coup government, aided by the decisive influence of fazendeiros (large landowners) and evangelical missionaries. An allied governance of land and soul has been formed in order to achieve the total tangible and intangible annihilation of the indigenous cultures. The fazendeiros want to penetrate the reserves to grow soy, known as green gold, by corrupting various naïve people and allying themselves with corrupt politicians; the current evangelicals (unlike the Catholic missionaries who stopped evangelizing after the council, although this practice was partly revived by Cardinal Ratzingher before he became pope) have the «military» task of destroying all sacred aspects in order to govern souls under a strict Protestant scheme, which has been gaining ground for some years, annihilating all African-Brazilian and native traditions, which are deemed to be diabolical heresies. 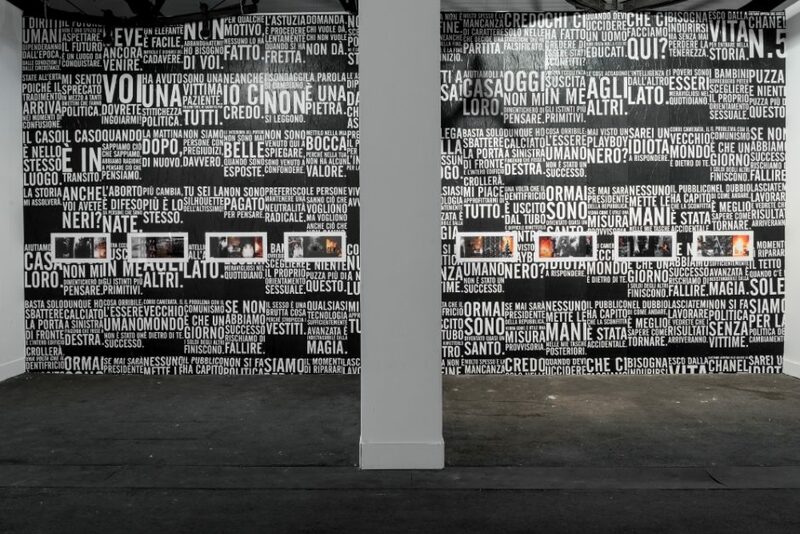 Dias&Riedweg, Funk Staden (2014) – Macro Testaccio, Roma. The land and souls of the Tupi Guarani, Bororo, Xavante, Kayapo and Yanomami descendants are held in this grip, which seeks to deprive them of all their historical identity and seize absolute power over all that remains – ruins and dust. Over and beyond all institutional alliances, it would be fundamental to revive certain Brazilian traditions, rework them and insert them into the contemporary context in order to take on the challenge of this twofold power. Culture, the arts and performance can establish this trend if they succeed in mobilizing the most disadvantaged sectors of the populations living in the aldeais or the favelas and assert their decisive political subjectivity in favour of a new political and cultural era. Because of this, another cosmopolitanism has to be identified within the links between aldeia, city and social network, through the areas that are of key importance to a pragmatic offensive decision. The idea of a new cosmopolitanism could be sought in the links between cultural syncretism and performance anthropophagy. I would like to add that these two concepts do not apply solely to present-day Brazil, but can be used as a decentralized and flexible model for various different geopolitical contexts. For many reasons, the first of these could be Europe: a different Europe, which is conceptually transitive and politically reflective on past events and, in many cases, on the oppressive present that still dominates today. Syncretism is a key word for understanding the changing relationship between arts and ethnographies, within the process of globalization and localization that involves and overturns traditional methods of creating culture and communication. This word paves the way for understanding a changing context, enabling us to channel today’s communicational disorder towards creative, decentralized and open currents. Syncretism encompasses the paradox of an unstable word because of its changing meanings. It disguises itself with more elegant or more conflictual synonyms, such as pastiche, patchwork, Creolization, hybrid, melange, mulattism, acculturation: concepts linked to transcultural contamination. Syncretism envelops, dissolves and remodels the relationship between stranger and family member, between popular and digital cultures, mass and avant-garde cultures. Syncretism presents a scenario in which dichotomous binary and logical oppositions make way for a simplified past. The same anxiety regarding homogenization, elaborated at such length by the social sciences, can be confined within the car parks of the history of ideas. Today, anthropology, following on from the philosophical and religious use of the word in a denigratory and superficial sense, takes on syncretism as part of a restless experiment, which challenges change in the name of xenophilic narratives. Syncretism launches the ethnographic project applied to the arts: a blend of codes that reunite those ethnic and cultural differences embraced as a form of wealth in their untidy jumble. The same culture is no longer seen as something anthropologically unified, which compacts and binds individuals, genders, groups, classes and ethnicities. Instead it is plural, decentralized, fragmented and conflictual. Syncretism has been combined with religious forms, so that the two terms are still often associated with one another. However, despite this, a process has established itself that has applied syncretic narratives to urban arts (street art, public art, visual art, expanded design, fashion, advertising, literature, and even a certain stream of cinema, etc.). These cultural syncretisms are the subject of this discussion. They emerge, ungoverned and incoherent, from every fold of contemporary society: to overturn or amaze it, sometimes to confuse or simplify it. From this perspective, the work of Dias & Riedweg combines a reborn Staden with funkeiros performers. 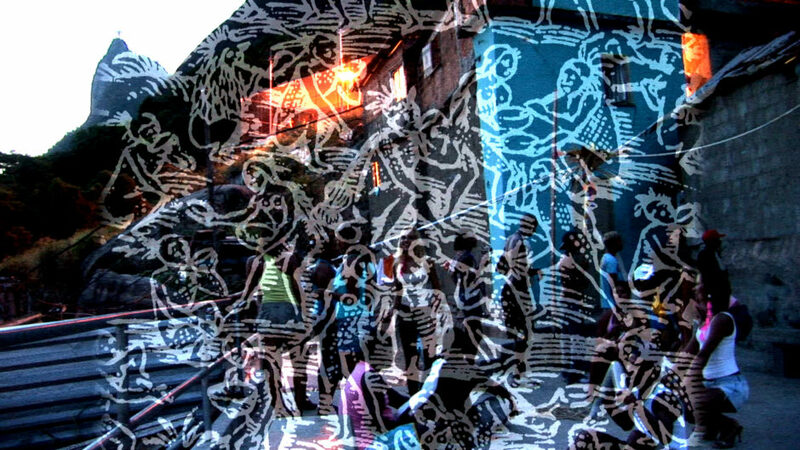 In the favelas of Rio de Janeiro, the dissonant spoken song rouses bodies and transforms them into altered and oppositional subjects. The origin of the word syncretism is shrouded in mystery. It is said that the Cretans, who were always ready to fight one another, became allies when faced with an external foe. Syn-cretism – union of the Cretans. A defensive concept for overcoming internal political differences, to prevent the loss of freedom and defeat an external enemy who is worse than the enemy within. This desire to unite conflicting groups on Crete was used for the subsequent migration of the concept from politics to religious. Various syncretic attempts referred to temporary theological alliances, reciprocal combinations of different faiths without concerns for the dogmatic coherence of the Catholic church, risking cruel heresies or instrumental tolerance. Hence the assonance of syncretism and «superficial», which set it aside from philosophical and religious «depth» for many years. Its use indicates one of the biggest genocides ever carried out by Western culture: after the «conquest» of the Americas, the conquistadors discovered that the «natives» were unable to work in conditions of slavery. They were killed or left their children to die rather than accept such a harsh way of life. This led to the idea of importing more a more adaptable workforce, brought in by the slave ships. Slaves were imported from another continent due to the uselessness of the internal workforce. Because of this, some of the most creative forms of syncretism emerged out of the African diaspora in the Americas. Religious syncretism implements a sort of implicit pacification between victors and vanquished. The latter officially agree to be converted, by encompassing their religious traditions within those of the victors; the former officially acknowledge the camouflaged survival of the original religions within the Catholic faith. Religious syncretism is therefore a defensive compromise: the vanquished submit to the invasive alliance of the dominant religion, as long as it permits a certain degree of cultural tolerance. Lastly, the recent religious independence of Candomblè from Catholicism permits its use in both an aesthetic and cultural sense. The new liberated syncretism seduces those who accept the risk of travelling, moving away to the many «elsewheres» and enjoying transits of identity. Cultural syncretism was born in Brazil with the quilombos: spaces liberated by those who rejected slavery and armed themselves against slave owners. The symbolic act of the quilombo was the escape, the non-acceptance of an imposing and destructive cultural order. This led to the birth of the word «Creolization», which has nothing to do with dark colour. Creolization does not mean making black white or, vice versa, making white darker. The word does not originate in the process that goes by the name of brancamento (whitening). Creolization represented a political decision to found a self-governed place of freedom by escaping. A quilombo, in point of fact. And this Creolized quilombo did not just enjoy religious freedom, but also cultural freedom extended to all those people – of whatever colour – who asserted their right to freedom through escaping. Thieves, prostitutes, natives, vagabonds, half casts. Even great philosophy has realized that, in conditions of slavery, it is not so much the slaves who are enslaved as their owner. The quilombos mark the transit from the colonial city to the transitive metropolis. 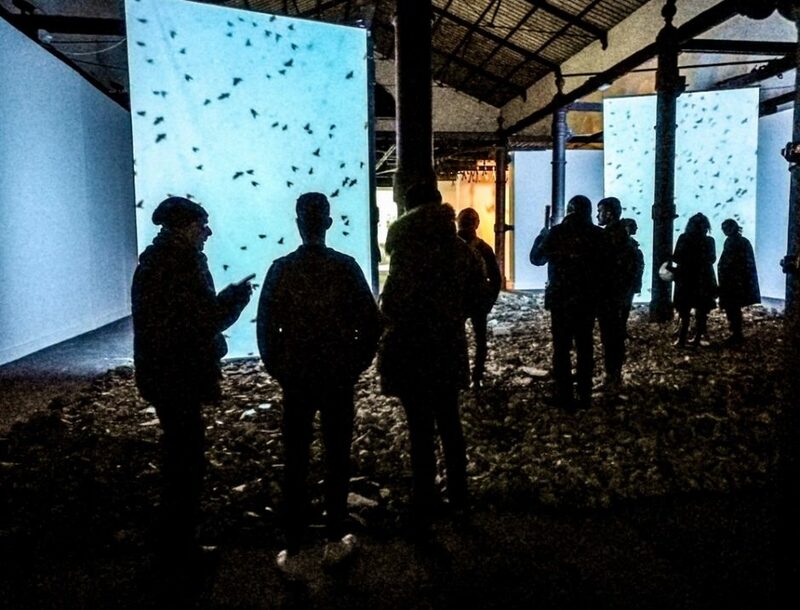 The performance presented here unfolds in a quilombola area and their descendants revive the anthropophagy of Hans Staden by playing with different codes. Favelado funk song is blended with the ritual Tupì chorus. Living in Brazil, one thing is apparent to me: the use of the concept of ethnicity rather than «race», which is so biologically predetermined, best expresses the coevolutionary blends of genetics and culture. The encounter between multiple ethnic and cultural wefts causes the ally of syncretism to emerge: anthropophagy. 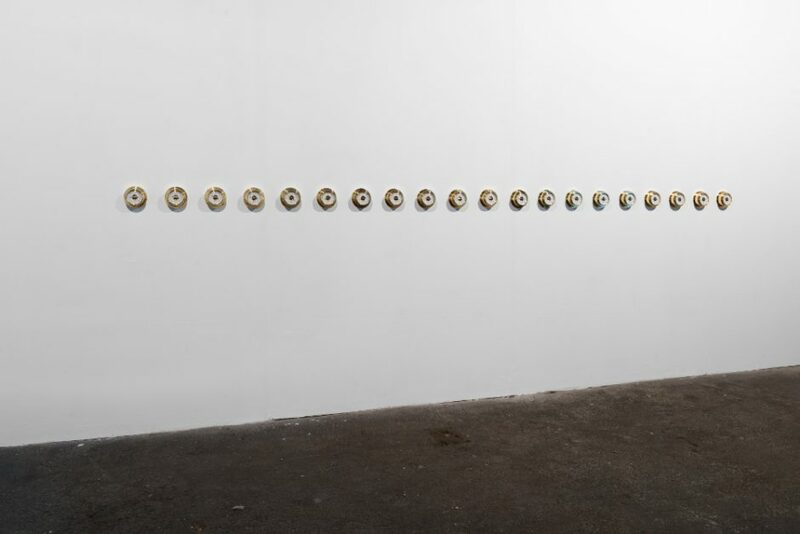 In Sâo Paulo the avant-garde movements sensitive to aesthetic and political renewal were described as anthropophagic: anthropophagy – moving away from the wild stigma that the European colonists associated with the natives – was reclaimed as an art of swallowing the other; Western cultures themselves could be anthropophagized: a practice used to incorporate foreign flavours, symbols and proteins into one’s own physiological or aesthetic sensibilities. Anthropophagy was no longer a «wild» or «ritual» hunger for human flesh, but a targeted, sensitive and delicate appetite, which would select the most flavoursome body parts (codes) in order to digest the other in a creative manner, rather than through undifferentiated or undigested gulping. Flavours, colours and body parts prepared as a banquet to be incorporated were selected on the basis of aesthetic and political cultural strategies. Modernist anthropophagi therefore became selective artists who «exchanged» flavours and knowledge, flesh and aesthetics. As in the case of the funkeiros cariocas, the values are mixed to create non-invasive changes, which are contracted and incorporated or vomited out. The anthropophagus is not a «primitive being» who devours any piece of flesh, but a constructive interpreter who chooses to consume the parts closest to his or her own cosmological aesthetics. This knowledgeable consumption has led to the birth of Macunaìma, a syncretic hero «with no character» whatsoever, representing a metropolitan and industrial Brazil that blends legends and roguish behaviour, ethnographies and inventions, semantics and discourses with no beginning and no end. According to an ethnographic understanding, the globalization process does not just entail the modernization of native cultures, but also the indigenization of modernity. As a result, relations between the two worlds do not take place according to a passive acceptance of a certain cultural trait: anthropophagic syncretism happens because human begins do not automatically accept the new elements, but instead select, modify and recombine symbols and signs through cultural contact. The importance of this act of selection, modification and combination is decisive when it comes to progressing from a homogenized and standardized concept to multifaceted cultural models that reunite not only the so-called «outskirts», but also the «centre». In that way, the very notion of «centre» versus «outskirts» is brought into question and does not have an absolute (ethical and political) taxonomic value. The principle is affirmed according to which many outskirts are in the centre and many centres are in the outskirts: cities therefore are and contain syncretic and anthropophagic spaces. Anthropophagic syncretism is not a form of eclecticism without a concept or unscrupulous pragmatism, whatever purist philosophers or unadulterated anthropologists may claim. On the contrary, it becomes passionate about trivial, secondary and alien things: it encompasses both replacement and deplacement, and even reacting. In the first case, a familiar partiality is replaced by another extraneous one; in the second, the subject is disoriented with regard to his or her «normal» spatial order. The syncretic-phagic subject will therefore be a disturbing influence in the blend of familiar and foreign, where ethnography focuses its specific field of research. 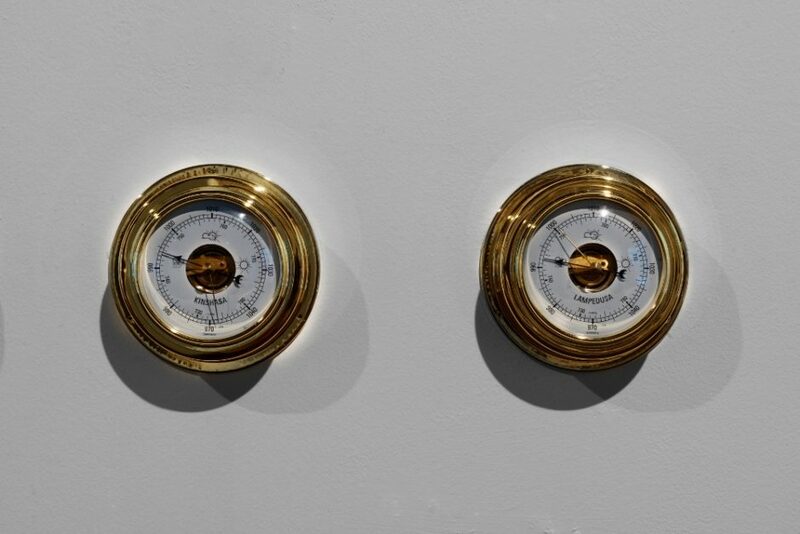 In the third, a cultural, artistic or performance trait reacts, transiting from old to new, modernizing the old or classic and even the recent and transfiguring itself within the syncretic present. Hans Staden probably dances funk in a quilombo carioco because of the reason suggested by the great Brazilian anthropologist, Darcy Ribeiro: he cried too much and the Tupinambà had no desire to ingest fear and tears. Anthropophagic syncretism has a «secret» link with the oxymoron. A folly (Oxy) of language that throws the boundaries of words into disarray so as to assign new meanings to things. The oxymoron, anthropophagy and syncretism are the offspring of illegitimate logic, asymmetrical arts and quilombola transits. The dynamics of cultural change, rather than heading towards intolerant universalisms, are instead indigenized, personalized and decentralized. Collage, montage, cut-up, pastiche, morphing: this is how syncretism penetrates logos, ethics and aesthetics through the selective devouring of the other, bringing anthropophagy back up to date in a symbolic and performative sense. Anthropophagic syncretism is an oxymoronic proposal against the power of debate, an ubiquitous project, a decentralized model, a text-collage, a funk quilombo, an incompatible montage, a cannibalistic logos, an indigenized contact, a mimetic journey, an anthropophagic flow and a Creolized patchwork. Anthropophagic syncretism presents itself as a «spectre» that rejects philosophical syntheses, religious dogma, national leaderships and fixed identities. It devours, chews over, absorbs and vomits out age-old biennials, funerary fashions, series and recycled trash from various worlds and cultures. Anthropophagic syncretism is a starving and ubiquitous spectre that wanders amidst cosmopolitan cultures.